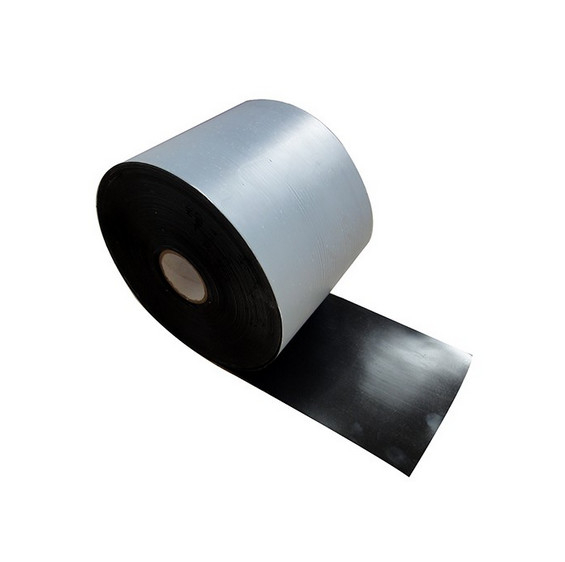 The XUNDA-T600 series is Cold applied tape coating system for corrosion protection of Oil, Gas, Petrochemical, Waste Water underground or overhead pipelines and waterproofing. Prepare surfaces by removing all loose scale, rust or other foreign matter by grit blasting or wire brush. Surface must be clean, dry and free of grease.Apply thin film of Butyl Primer to all surfaces to be wrapped and allow to dry. 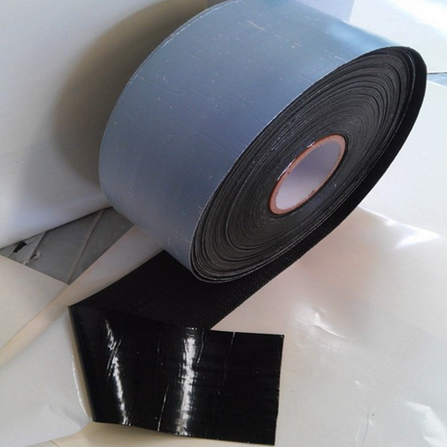 Peel back interleaving and apply adhesive side of the tape to the surface and press down. Apply the tape spirally with enough tension to make it conform. Remove interleaving as wrapping proceeds. Overlap each turn by at least 1" or 55% to achieve double thickness.Irregular surfaces such as valves, flanges, etc. may require the use of Mastic or Profiling Mastic. ( we can supply it also ) Refer to the product sheets for these specific products for information on application and selection. 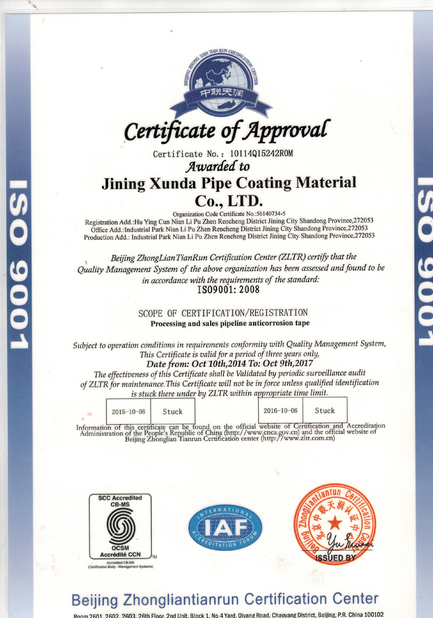 Xunda have got DVGW,AWWA,ASTM,SGS certificates and test report, also the sole factory in China passed DVGW,AWWA test. 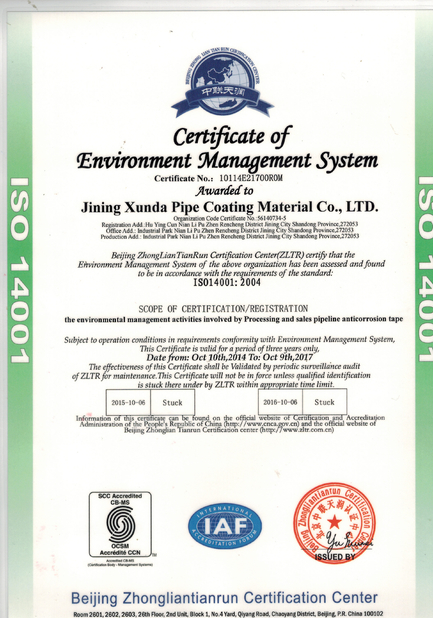 Xunda Manager System is IDO 9001,ISO 14001 and OHSMS 18001.XUNDA tapes can meet ASTM D 1000,DIN EN 12068, 30672,AWWA C209,214 ,IGS and other international standards. 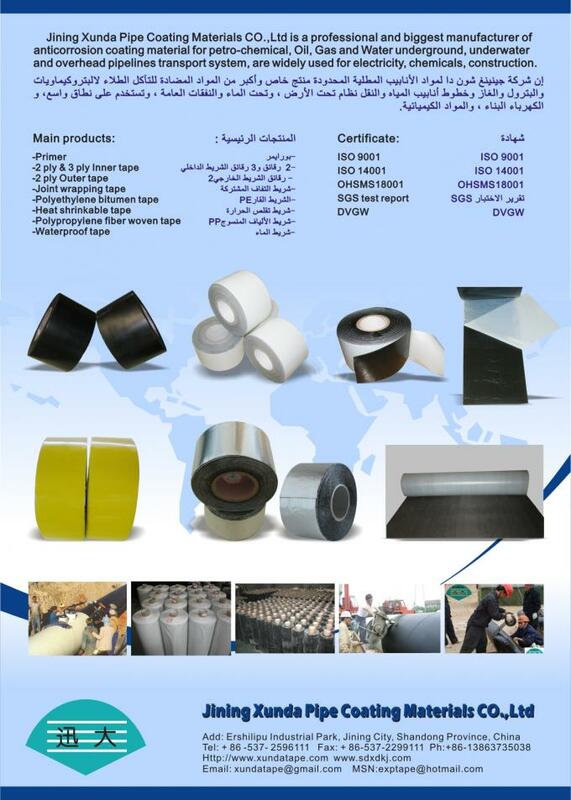 Xunda has been the world's four major corrosion tape manufacturers with Polyken,Altene and Denso.